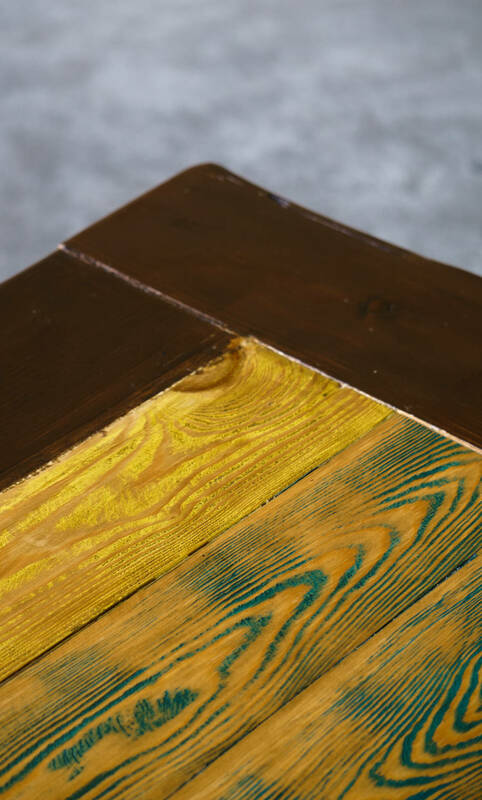 Hyperion, is a table with intense colour contrasts, made of solid Fir and Pine wood. 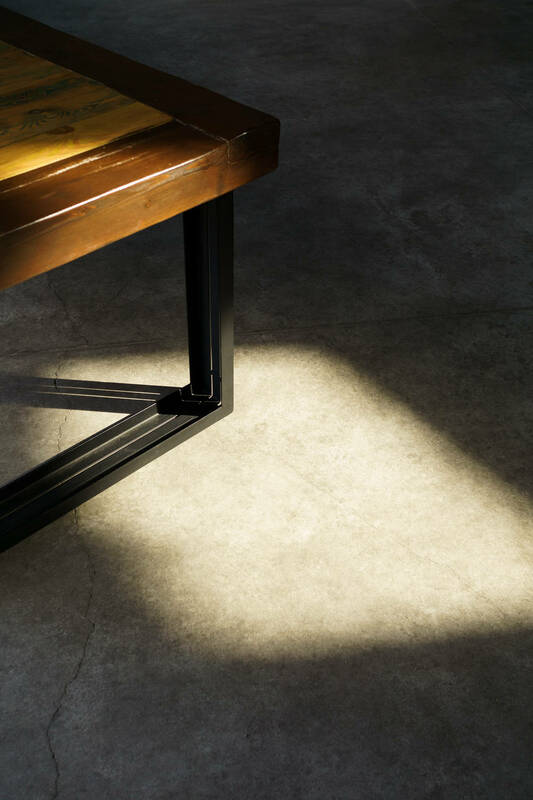 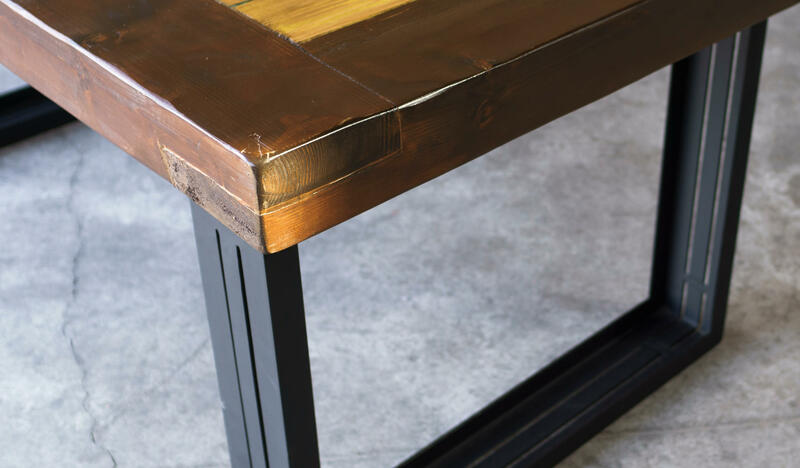 The central part of the table has undergone a special colour treatment, enhancing the natural wood lines, while the intensely coloured wooden edge frames it perfectly. 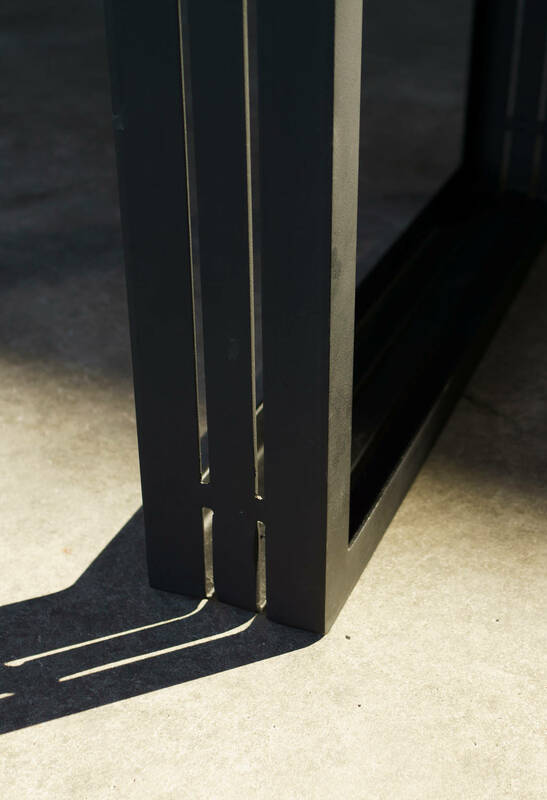 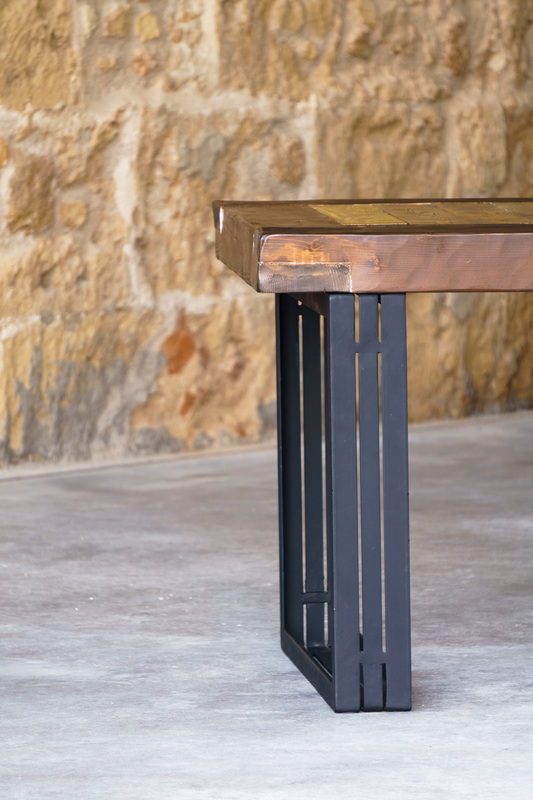 The wooden elements are finished with water-based eco-varnish and the square iron legs are painted mat black. 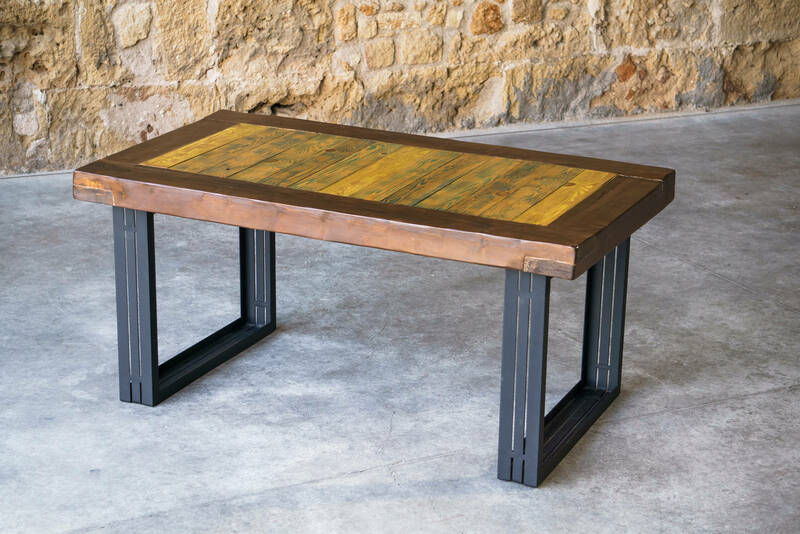 This table stands out thanks to its striking colour contrasts, its natural hand-crafted curvature and its distinctive and quirky square legs. 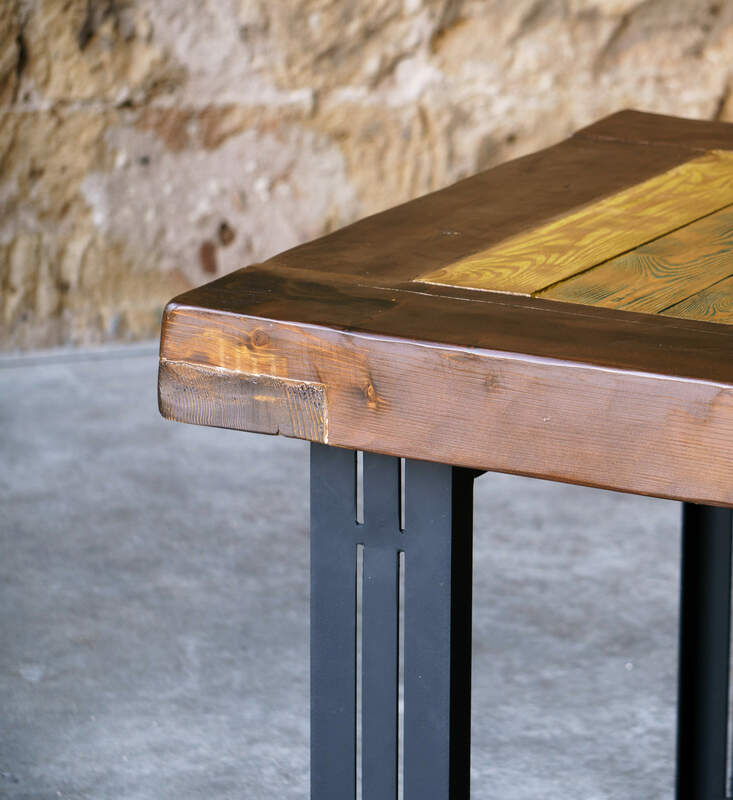 It is a table that will surely stand out in any space. 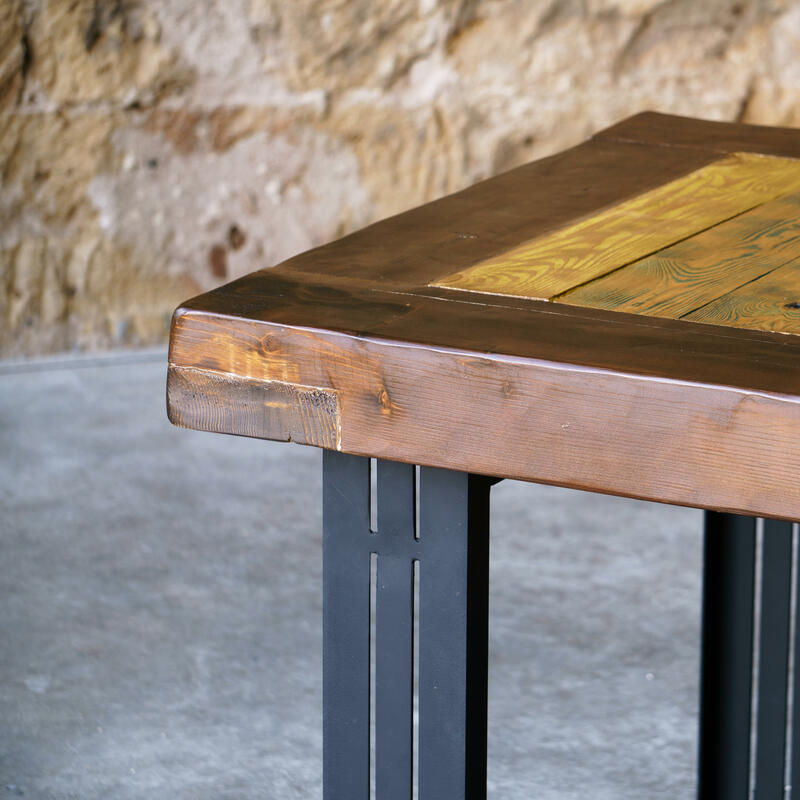 * The final product may be slightly different from the one shown at the pictures as each material is unique and all furnitures are handmade.